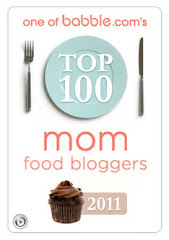 With the holiday eats behind us, many people are looking for a light and healthy alternative. While the blog may sometimes advertise otherwise, I do have a few healthy and delicious options in my culinary repertoire. This is a dish that we enjoy on busy weeknights for a light dinner or as a side to something more substantial. 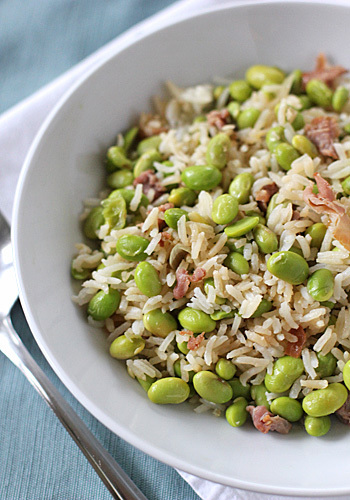 Rice, edamame and prosciutto provide a base that is flavored with shallots and garlic. After all has been cooked and warmed through, it is further seasoned with a bit of tamari and sesame oil. With all of those flavors and seasoning, the only accompaniment needed is a little heat from a good Thai chili paste. As good as this recipe is as written, it is also a nice platform to which you might add or subtract ingredients to suit your own taste. To keep it vegetarian, omit the prosciutto. If you want it to be more filling, add a scrambled egg or two. Not only is this dish simple and delicious, it has nutritional bonus characteristics too. Low in fat, high in protein, and high in omega-3 fatty acids-- it is good and good for you. The added Thai chili jam is also a welcome sinus drainer this time of year. In a medium saucepan, bring the rice and water to a boil. Reduce the heat to a simmer, cover and cook for 20 minutes. Remove from the heat, fluff the rice with a fork, cover and set aside for 10 minutes. Prepare an ice water bath. In a large saucepan, bring salted water to a boil. 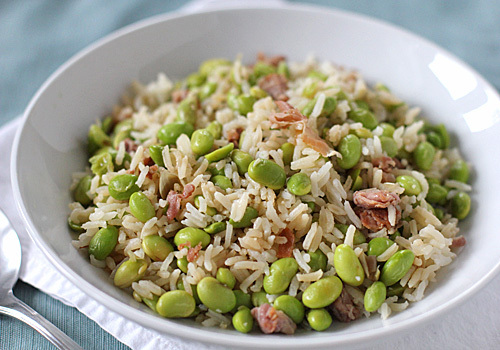 Add the edamame and cook for 4-5 minutes. Drain and shock the beans in the ice water; drain again and reserve. In a large non-stick skillet, heat the canola oil over medium-high heat. Add the prosciutto and sauté until lightly browned and crisp, about 3-5 minutes. Add the shallot and garlic and sauté for 2 minutes. Add the rice and beans and cook until heated through. Drizzle in the tamari and sesame oil; stir until the rice is evenly coated. Serve immediately. Enjoy!